At the core of any system, storage is a vital component. Relied upon daily for both simple and complex tasks, storage has a major impact on computing efficiency. 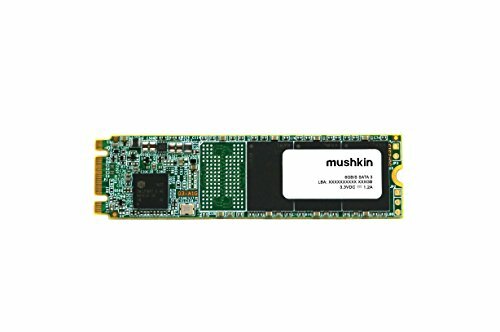 Engineered with fundamentals in mind, the Mushkin Source M.2 SSD is the perfect storage solution for everything from light applications to graphics-intensive gaming. Well-rounded and powerful, the Source M.2 delivers exceptional performance at an incredible value. Driven by a Silicon Motion controller, the Source M.2 provides fast transfer speeds and can balance multiple tasks with ease. 3D NAND ensures the Source operates at the high standards expected from Mushkin. Headquartered in Austin, TX, Mushkin Enhanced MFG is one of the nation's most recognized manufacturers of performance computer products worldwide. Exceptional quality, enhanced performance and unparalleled customer support are what make up the Mushkin difference!